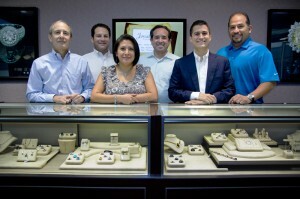 I believe that being an owner and manager of a business and a jewelry buyer is really difficult in business. As an owner and manager I have to deal with the employees, the books, the bottom line, the paper work and yes, dare I say it, the BS of business. As a jewelry buyer I get to deal with the customer, the diamonds, the watches, the bracelets and necklaces and pearls and gold. Both jobs are challenging and I believe that keeping employees happy is just as important as keeping customers happy. But, when I first started this business I had no idea as it grew that I would be wearing so many different hats, depending on the day, hour, minute and even second! When I have my jewelry buyer hat on I am totally focused on buying. I don’t want to be an owner when I am the buyer and the problem is that my job as the jewelry buyer is so intense with emails, phone calls and text messages that things slip through the cracks without me even realizing. I have to backtrack, find the mistakes, apologize and hope that I can calm the customer down. I love my job as the diamond and jewelry buyer and while this hat is perched firmly on my head, I don’t even notice the office politics that are going on around me because I just want to be a jewelry buyer. Office manager is my least favorite job. We are all crammed into a space that is too small and we sometimes get on each others nerves, under each others feet and in each others faces. There are personalities and there are personalities – if you get my drift – and I have to manage them all. It’s exhausting. We are a 99% male office, need I say more? The women in the office don’t always appreciate our humor or our conversations, and frankly, sometimes when they put their heads together we get a little nervous as well. But, we are a family. And even families get on each others nerves from time to time. Office politics aside, which seem to be in front lately, there is still ALL the other officey things that need to be taken care of on a daily basis. I am at work late every single day after I take off the jewelry buyer hat and take care of all that annoying paperwork that I hate so much, but comes with a business that continues to grow and thrive, for which I am very grateful about. Lately I haven’t been able to keep the peace as the office manager and I just want to be a jewelry buyer. The lines have been drawn in this small office where we are all living on top of each other, and it is exhausting. The tape is wearing thin and the we are all feeling the pressure. I don’t know how much longer this stand off can last before there is a melt down of epic proportions, and the truth is, this office manager is dreading it. So, what to do? I don’t like confrontation and I don’t like to doll out punishment, in fact, I rarely if ever will fire an employee. I just want to come in and keep my head down and be the jewelry buyer until after hours, then put on the office manager hat and finish up the paper work, tell a few jokes, visit with my customers and buy some great jewelry, diamonds and watches. Is that too much to ask? Maybe we need an office manager? Maybe we need a hiring manager? Maybe it’s time to release some pressure off some of the points that we have so relentlessly tried to maintain hold of for so long. Maybe then I could just be a jewelry buyer. Maybe I’ll think about that tomorrow, right now I have another customer to deal with and another fire to put out in the office.